One solution to the difficulty of choosing gifts for members of your extended family is to choose a gift that is given to the entire family, rather than individual ones. This is a guide about buying family Christmas gifts. 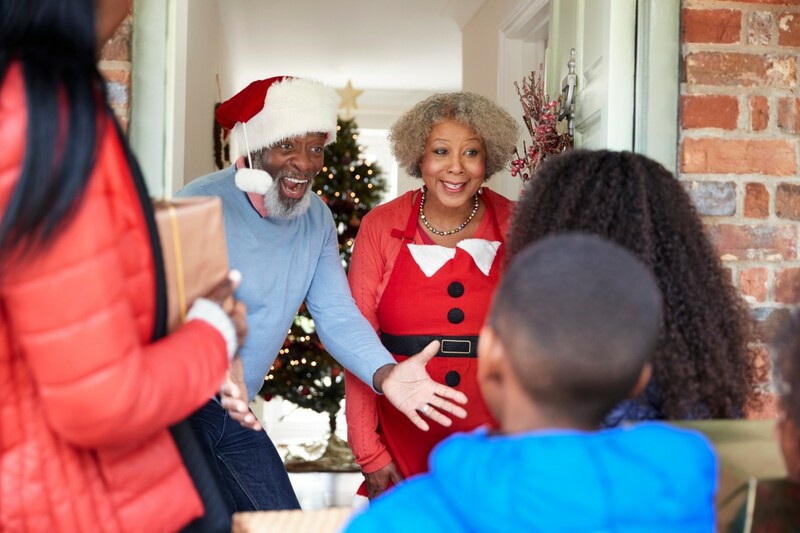 Rather than buying individual Christmas gifts for your cousin, her husband and each of their children, give one Christmas gift to all of them that they can enjoy as a family. Some family gift ideas are as follows: A gift card to a local video store (include some microwave popcorn and candy); a book of passes to the movie theater; a board game appropriate for each family member's ability level; a gift certificate to a nice family-friendly restaurant; a donation in the family's honor to a charity that's important to them; a gift basket with gourmet coffee and tea, muffin mix, pancake mix and syrup, jellies and jams, etc. You'll be amazed how much money you can save this Christmas season by giving one family gift rather than several individual gifts. As family members, such as grandparents, aunts...etc...even the elderly neighbor, gift baskets are wonderful. They can be filled with the little things that most elderly won't buy themselves, due to limited incomes, the little ''splurches'' we call them. Box of chocolates, nice little seasonal dish towels, grocery items that make a little time special. Most of all, they love the little cards inside that say something about you visiting them during the upcoming year to do something together!! K-Mart Clearance Centre recently had Pizza Maker Machines for $50. This is a great gift for a family as everyone gets to enjoy what is made, over & over again. Don't forget that giving a soccer ball, basketball, or a rugby ball (maybe this one will require some internet-printed rules?) to a family can be great too--something for the family to do outdoors. It's difficult shopping for members of your extended family, and the number of people makes it expensive. Worse is when the family asks you for gift ideas. Make it easier on everyone and think of group gifts that can be purchased for the entire family. This Christmas, ask for a family gift. Asking for a board game for the whole family can promote a family game night and time together. It's one relatively inexpensive gift that everyone can enjoy. Choose a game that everyone enjoys, all age levels and interests. Another benefit of the family game is that the same day it's opened it can be played. After dinner, the present becomes the entertainment. Movies are another way to bring a family together and eliminate many unnecessary gifts at the holiday season. Choose one hit movie that the entire family can enjoy. Ask for input from the family members, and don't assume that the movie marketed as "fun for the entire family" will be just that. If it's too difficult to select a movie that matches the entire family, purchase a movie rental subscription for the family instead. Your brother's family may enjoy a subscription to NetFlix or some gift cards to Blockbuster. If he already belongs to NetFlix, offer to pay for a few months of his subscription by creating and printing a custom gift card and placing it in an empty movie case for gifting. Everyone eats. When the family asks for gift ideas, offer one-a restaurant. One great family meal is a perfect gift, and almost every restaurant offers gift cards. For something more personal, pack up a large reusable shopping bag with an entire meal. Place a ham, scalloped potatoes, and some vegetables in the bag. Add a store bought dessert and some other yummy goodies, and you have a dinner in a bag. If dinner is too daunting, create a snack bag or a theme pantry. Who can resist a package of favorite foods? Instead of purchasing individual gifts, or even gifts for each segment of the family, what about one colossal family gift? Invite members of your family to dinner and discuss one large holiday gift for everyone. Leave the kids in the family room and discuss something that everyone would like to do. Are you the type of family who would enjoy vacationing together? (Add all your siblings and their children together and create a weekend reunion.) Would everyone enjoy box seats at the local baseball stadium? Then, put someone in charge of securing a reasonable quote for the colossal event. Once the quote arrives, divide it evenly between family members. In lieu of holiday gifts, present the family with the surprise event. It will teach the value of time spent together in comparison to material objects.